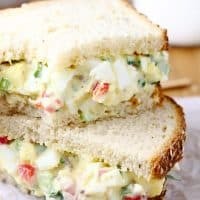 FAVORITE EGG SALAD — Hard boiled eggs, celery, red pepper and green onion come together in my Favorite Egg Salad. Great for sandwiches or enjoying straight from the bowl. With Easter just around the corner, I’m expecting to have an excess of hard boil eggs. If I don’t use them to make Deviled Eggs, then I’ll be definitely be using them to make egg salad. There’s nothing quite like a good egg salad sandwich. 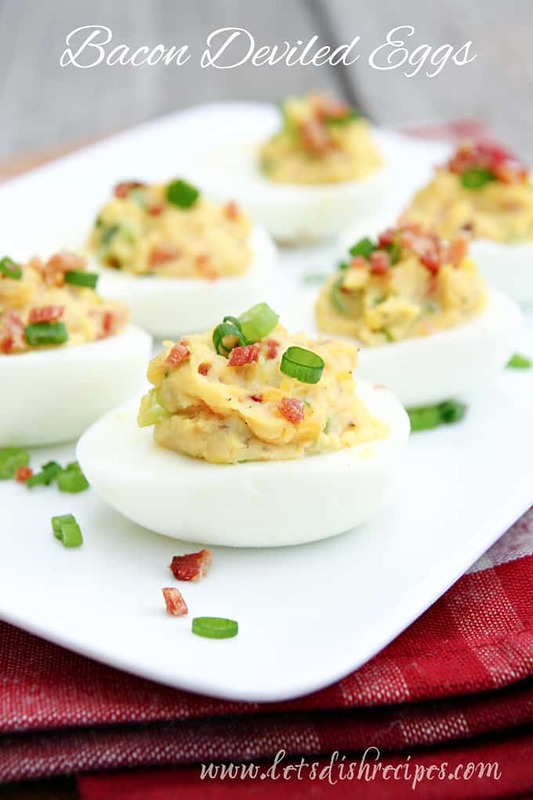 It’s one of those things I’ll get a craving for…..but not just any egg salad. It’s got to be a good egg salad. 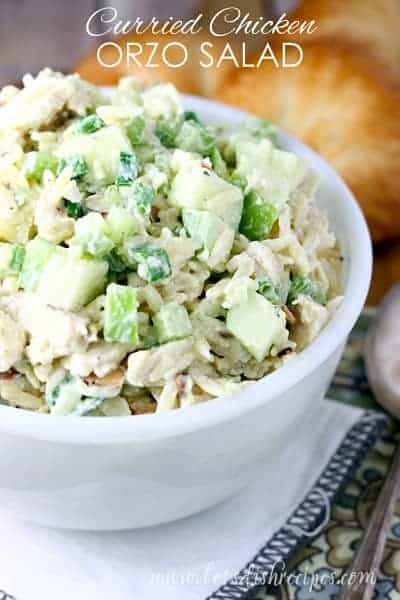 Trust me, not all egg salads are equal, and after trying many, many egg salad recipes over the years, I’ve settled on this one as my favorite. I really love all the color and crunch that the fresh veggies add. And the seasonings are just right. 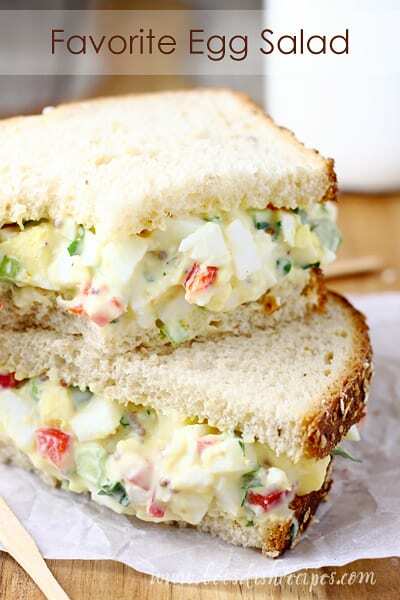 Of course, you don’t have to make sandwiches out of your egg salad. Eating it straight from the bowl is perfectly acceptable too. Place your eggs in a medium saucepan and cover with cold water. Bring to a boil over high heat. Once the water starts boiling, cover the pot and turn off the heat and set the timer for 15 minutes. When time is up, drain the water from the pan and run cold water over the eggs to stop the cooking. I like to throw in a few ice cubes. Once your eggs are cool, you can peel them and chop them up for egg salad. If you’re a fan of egg salad, I hope you love this recipe as much as I do! 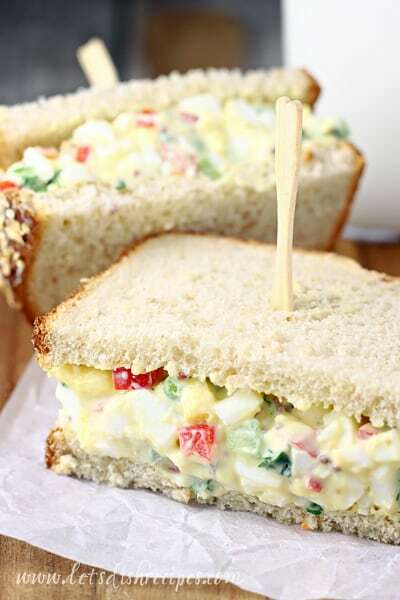 Be sure to save this Favorite Egg Salad recipe to your favorite Pinterest board for later. Hard boiled eggs, celery, red pepper and green onion come together in my Favorite Egg Salad. Great for sandwiches or enjoying straight from the bowl. Mix the eggs, celery, red pepper, green onion, mayonnaise, lemon juice and Dijon mustard together. Season with salt and pepper, to taste. Serve between slices of bread, sandwich style. 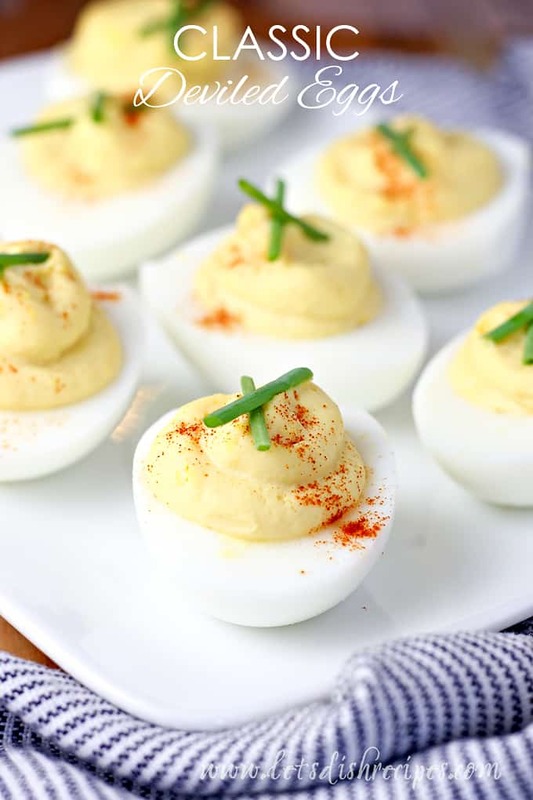 Who Dished It Up First: I’m sure there are a million different recipes out there for egg salad. This is my version. oh yum! I’ve never put red pepper in egg salad! I am gonna have to try that! Thanks! I love egg salad sandwiches! I haven’t had them in a long time, and there are some things in your recipe that are different than mine. But yours sounds lovely! I love egg salad sandwiches especially with crisp bacon and a handful of baby spinach. so good! I’ve been wanting to make some too, but only have a couple eggs in the house. I see a grocery store run in my future! Yum! Your Egg Salad looks delicious!! I will have to try this with all my extra leftover eggs. I love egg salad . This looks great! so weird you posted this… i just made egg salad yesterday and uploaded photos this morning! looks DELICIOUS!